Nigerian Bottling Company Limited (NBC), a member of the Coca-Cola Hellenic Bottling Company, is the sole bottler of Coca-Cola Products in Nigeria and one of the biggest companies in the non-alcoholic beverage industry in Nigeria. The operations of the Coca-Cola Hellenic Group spans 28 countries, bottling and distributing the most iconic beverage brands globally and serving more than 581 million people across the world. We are launching our first “Naija Coke Summership” – a three months internship program designed to attract final year undergraduate and post graduate / MBA students who share our passion for excellence and strive to learn with speed and agility. 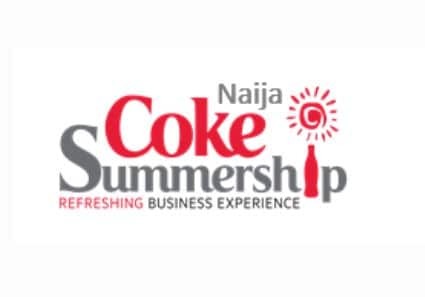 The Coke Summership Program provides a robust developmental platform for Nigerian students at home and abroad to intern with us to gain industry experience during their academic Summer breaks. This year the program will commence in July and end in September. If you fit the profile below we invite you to make the move and develop your career with us. • Strong passion for excellence, ambition and enthusiasm to be the best.